Syrian military expert Hasan Hasan in an interview with Sputnik Arabic said that over the last six years the influence of the US in Syria has fallen, whereas the Russian role has grown and that clearly does not suit US’ interests. According to the military expert, currently the US is invading Syria’s southern borders at al-Tanf. “The Americans have installed missile systems in areas where there is no need to fight the terrorists. Moreover, these actions were not coordinated with the Syrian government. This all is happening in the framework of aggression against Syrian sovereignty,” Hasan said. 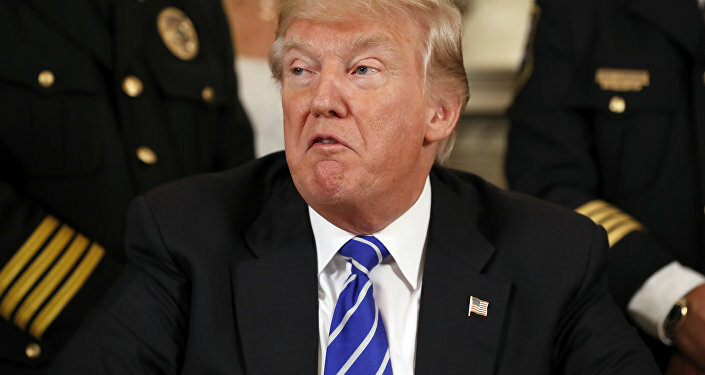 He further said that with their actions, the US is sending a message to the whole world, first of all to Russia, that international law does not apply to the Americans, that they themselves dictate laws. “The US is trying to prevent the Syrian army from taking control of the Syrian-Iraqi border in order to break the ties between the opposing sides,” Hasan told Sputnik, clarifying that by opposing sides, he meant Iran, Iraq, Syria, Israel and Yemen. According to the expert, the advancements of the Syrian army towards the Iraqi border and the People's Mobilization Forces are destroying the US’ strategic plans aimed at isolating Syria from the rest of the world. Hasan said that in such circumstances, control over the al-Waleed (al-Tanf) checkpoint is very important, as it was taken back from the terrorists over the weekend. The al-Waleed checkpoint is strategically vital because it opens the road to Syria, Iraq and Jordan. However, it was until recently serving as a terrorist base. On June 8, the US-led coalition bombed pro-Damascus forces near al-Tanf within a de-confliction zone following an alleged attack by a combat drone resulting in no coalition force casualties. This was the third attack by the coalition on Damascus' allies in the area. The coalition targeted a drone and trucks with weapons. Earlier, Syrian media reported that at least 43 civilians were killed as a result of the US-led coalition airstrike in the region. Just a few days later, the Lebanese media reported that the coalition's airstrikes killed more than 30 additional civilians near Raqqa. 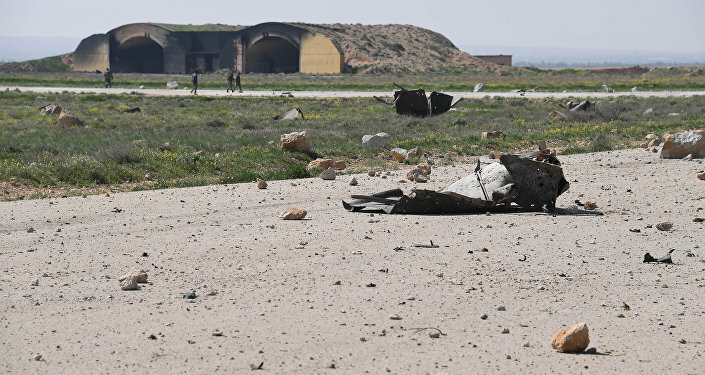 On June 18, the Syrian Defense Ministry said that the US-led coalition shot down its aircraft in the countryside near Raqqa when it was on a combat mission against Daesh. Later, the US Central Command confirmed the incident saying that it shot down the Syrian government forces' Su-22 aircraft, as it was allegedly bombing an area where US-backed rebel forces, the Syrian Democratic Forces (SDF), were stationed, south of Tabqa in Raqqa province. The Russian ministry condemned the attack saying, "The destruction of the Syrian Air Force aircraft by US aviation in Syrian airspace is a cynical violation of the sovereignty of the Syrian Arab Republic." "The repeated hostilities of US aviation against the legitimate armed forces of a UN member state under the guise of 'combating terrorism' are a gross violation of international law and de facto a military aggression against the Syrian Arab Republic." The ministry added that the Syrian jet was supporting the Syrian army's units which were conducting an offensive against Daesh terrorists near a populated area located some 40 kilometers southwest of the city of Raqqa. "As a result of the strike, the Syrian jet was destroyed. The pilot of the Syrian Air Force's Su-22 ejected over an area controlled by Daesh terrorists. His fate is unknown," the ministry said.